Oh, the joys of spring! 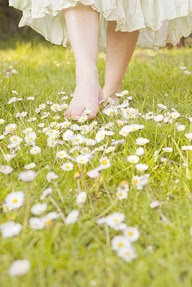 The air gets warmer, flowers bloom & we suddenly feel the urge to kick off our shoes & walk barefoot once again—and perhaps to take a few chances on merriment & love? After all, April Fool's Day comes during the spring season for a reason. Something about the long-awaited warmth & burst of color in nature revives our sense of vitality & adventure (even if it does lead to our embarrassment at times ; ). So just where did the term April Fool's Day come from? No one can say for certain when this capricious holiday began (isn't that a bit fitting? ), but many scholars speculate that April Fool's Day (often called All Fool's Day) started with a mix-up due to the switchover from the Julian Calendar to the Gregorian Calendar as ordered by Pope Gregory XII in 1582. The Gregorian Calendar called for New Year's Day to be celebrated on Jan. 1 instead of April 1, but according to folklore, many people either refused to accept the new date or didn't hear about it, so they continued to celebrate New Year's Day on the old date of April 1. In time, people began to make fun of these individuals by sending them on "fool's errands" to look for things that don't exist or by attempting to trick them into believing that something ridiculous is true. And of course, there's always the mischievous pranks. 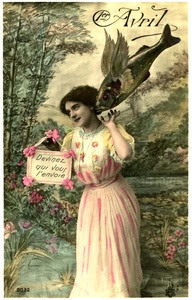 One prank that became common with the French (who call the date Poisson d'Avril or April Fish) is to tape the picture of a fish on someone's back and cry "Poisson d'Avril!" once the prank is discovered. The only problem with this theory is that many historians contend April Fool's day has been around much longer than 1582. In fact, types of "spring fever" have been celebrated all over the world from ancient times to the present, particularly with an emphasis on silliness, mayhem & frolic. 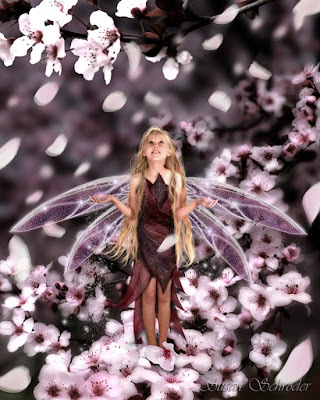 Even the ancient Romans had a festival named Hilaria on March 25 (rejoicing in the resurrection of Attis), and cultures all over the world have lighthearted holidays that come close to the vernal equinox. Could it be that spring itself ignites this merriment & whimsical view of the world? To be honest, I've often wondered if the fragrances of newly bloomed flowers or their pollen might contain elements (which science hasn't discovered yet) that trigger our devil-may-care attitudes towards adventure & romance come spring. Without such subtle aphrodisiacs in the air, perhaps we might not survive as a species? Because love always involves an element of risk—especially due to the sting & embarrassment of rejection—so surely we require a little something to inspire our courage? After all, it's not for nothing that the warnings against kissing for foolish reasons have arisen over the centuries, for everyone knows what the end result might be: the dreaded broken heart . . .
And yet, without a little foolishness, how would we ever be "crazy" enough to pursue love at all? We know it is rife with the minefields of hurt & betrayal & the vicissitudes of faithless emotions. But the rewards? Ah, to put it quite simply: everlasting love is most people's idea of Paradise (along with winning the lottery). So in this regard, an April fool who is bold enough to pursue love—and actually get it—might be the wisest among us of all . 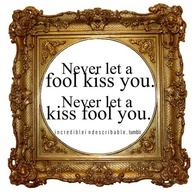 . .
With that thought in mind, perhaps that foolish kiss could be just the thing to break your life wide open & send you reeling through a meadow of wonderful possibilities—if only you'll take the chance. 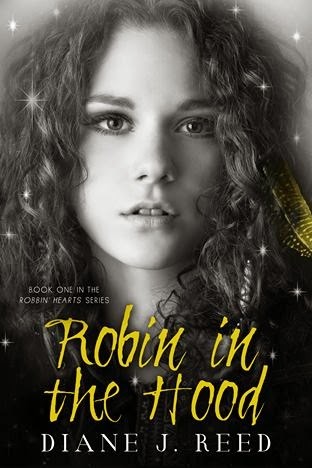 My teenage character Robin faces this exact situation in my YA novel Robin in the Hood. Her stale life at an elite, all-girl boarding school is devoted entirely to structure and routine. So when she hides her father in a run-down trailer park after she learns her family has gone broke & her father is wanted by the law, she is suddenly thrust into a whole new world where the same old rules don't apply. And one of those rules that has gone by the wayside is the prohibition against fraternizing with boys. Yet even though Robin admits she's "diamond wise and boy foolish," she knows what the stakes truly are: the giddyness & delight of a spring romance vs. the soul-crushing reality of rejection if her new love doesn't work. Dare she take a chance on love with Creek, the drop-dead gorgeous bad boy of the trailer park who commits crimes to provide for their neighbors? It doesn't help matters that Robin's birthday is on April 1st, making her an official April Fool! But after her first kiss with Creek, Robin can't escape the fact that she's been bitten by the love bug . . .
And that becomes the biggest reward for Robin as she tests the waters of romance—the opportunity to fall into that "pool of light" & allow her soul to become bigger than it used to be with a love that might turn out to be the "real thing". 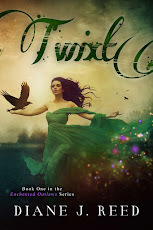 Though Robin is young & doesn't understand everything just yet, the one thing she knows for certain is that the past is gone & she must forge a new future based on her own rules—even if that does sometimes turn her in to a fool. Luckily, she can always to return to Granny Tinker's gypsy wagon to ask her advice about life, love & everything in between. And in this season of April foolishness, I'll leave you with one of Granny Tinker's greatest pearls of wisdom: "Child, if you ain't makin' a fool of yourself once in a while, then you ain't got the guts to be truly livin' at all . . . "
And P.S. Would you like a little help to find a spring romance? 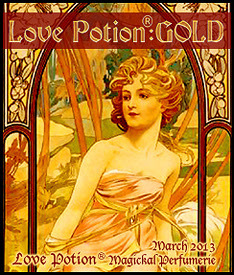 Magickal Perfumerie has a delightful love potion called Gold that is expertly blended with vanilla, citrus, amber & patchouli to help ignite attraction. And no, I don't take kickbacks from this company—I just love their stuff! You can peruse their wonderful fragrances at www.lovepotionperfume.com. Thank you! I'm fascinated by the history behind April Fool's Day, too. 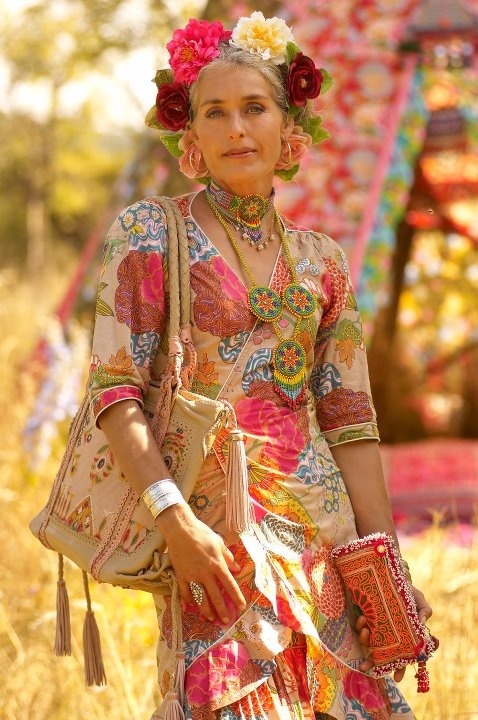 I have to admit, the warmth & color of this season always puts a spring in my step!